Dubai, United Arab Emirates - September 5, 2017: HUAWEI nova 2 Plus, the latest smartphone from Huawei has experienced exceptional demand in the UAE to become one of the fastest selling Huawei devices this year. HUAWEI nova 2 Plus sales have been 10 times more compared to nova Plus at its launch period last year. Equipped with a unique 20MP high-definition front camera, a 12MP and 8MP rear dual camera and a professional portrait mode, the HUAWEI nova 2 Plus captures stunning selfies like never before. Further, it’s advanced audio experience, a stylish design, as well as an upgraded and powerful performance makes nova 2 Plus one of the most sought-after products amongst the young and tech-savvy consumers. Featuring breakthroughs in selfie functionality and a distinctive design, nova 2 Plus celebrates the individuality, energy and optimism of today’s consumers. HUAWEI nova 2 Plus is fast becoming hottest selling smartphone in its price range and is available in Graphite Back, Prestige Gold and Aurora Blue colors across UAE retailers at a price of AED 1,399. According to a recent report by IDC, Huawei remained the third-largest smartphone manufacturer in the second quarter of this year, as the company shipped out 38.5 million smartphones, managing to grab 11.3 percent of the global smartphone market. In China alone, Huawei grew with the company’s shipments increasing by 22.6 percent year on year with 23.5 million units in Q2 2017. Thanks to such numbers, Huawei secured a 21 percent of the smartphone market in China in that period. With success of new product launches such as nova 2 Plus, Huawei’s strong momentum has continued in the third quarter of the year. 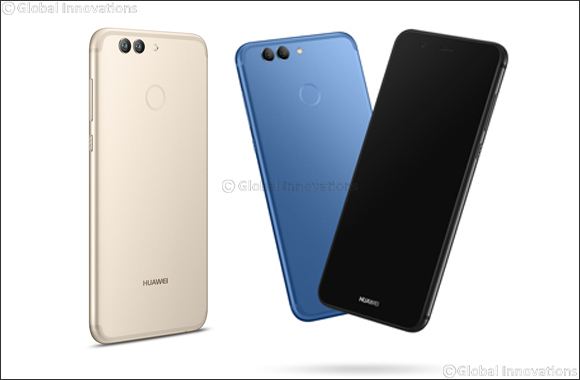 HUAWEI nova 2 Plus’ chic design and trendsetting selfie functionality is backed by the HUAWEI Kirin 659 chipset powerhouse. The combination of the Kirin 659 chipset with EMUI 5.1 and Android 7.0 ensures that the series will not slow down over time, and will continue to produce flawless performance. Additionally, by working in tandem with professional musicians, including Rainer Maillard, a Grammy Award-winning master, the HUAWEI nova 2 Plus delivers an incomparable audio experience, with upgraded software and hardware.